Without federal registration, you must use your mark in a territory to have protection in that territory. Federal registration guarantees exclusive ownership rights throughout the United States. You can also register your trademark internationally. When an unauthorized third party infringes on a trademark owner’s exclusive right and use of a trademark such as by using a similar mark, it may confuse or mislead consumers as to who is the source of the goods and services. This is the case with counterfeit products. An infringement on your exclusive ownership rights of a trademark means that the other individual violated trademark law. Trademark law gives trademark owners exclusive rights to use specific marks to protect both the product owner and the consumer. An infringement of trademark rights occurs when another individual breaches the restrictions and uses the trademark illegally without your permission. Trademark law provides the greatest protection for trademarks that are distinctive. For example, an original word like "Kodak" is easily protected, whereas a brand such as "Best Image" is more difficult to protect. Trademark law also protects logos like the Apple logo, or a descriptive word that actually describes a product such as, "Band-Aid," which is the trademarked name for bandages sold by Johnson & Johnson. The breach of restrictions and effects of the infringement result in general confusion of the public. When someone infringes on your trademark, you no longer control the use of the mark to identify your products or services. The other person illegally takes that exclusive control out of your hands. Your trademark no longer identifies only the products you sell in commerce; it also identifies the counterfeit products. 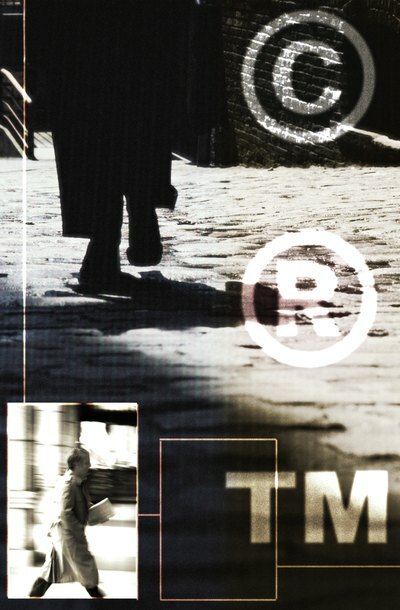 The unauthorized use of the trademark can result in loss of revenue for the authentic trademark owner, as well as a loss of expected quality and dependability by the consumer who believes he is buying a certain brand for its excellent reputation. Although the United States Patent and Trademark Office oversees trademark registration, the trademark owner is ultimately responsible to protect his exclusive ownership rights from infringement by others. In other words, you need to keep a watchful eye on any unauthorized use of your trademark in association with other products. You should be prepared to send a cease and desist letter to stop any unauthorized use of your trademark. You can file a claim for damages, likelihood of confusion and dilution of your trademark through a civil action, in federal court. You may have an action in state court over applicable state law violations. United States Patent and Trademark Office: Trademarks Home: What Is a Trademark or Service Mark? A trademark is an emblem or phrase that uniquely identifies goods and services in the marketplace. Trademark rights attach immediately upon use of a mark to identify goods in commerce, but registration at the state and federal levels is a way to put the public on notice of a person's claim to rights in the mark. A painting may only be subject to trademark protection under limited circumstances.